Professor Rémi Quirion, Chief Scientist of Québec and founding member of INGSA, together with the President of the Académie Nationale des Sciences et Techniques du Sénégal (ANSTS), Professor Doudou Ba, hosted a capacity building workshop for Francophone Africa in Dakar from the 6th to the 8th of March 2017. This workshop was modelled on INGSA’s successful workshop for Anglophone Africa, which was held in Hermanus, South Africa under the leadership of INGSA and the Academy of Sciences of South Africa in February 2016. The Quebec and New Zealand Governments, the Fonds de Recherche de Quebec, the IDRC and the Wellcome Trust generously helped to make this workshop possible. The workshop Enhancing capacities in providing science advice to governments brought together forty four established and emerging scientists from a variety of fields, as well as policy professionals. 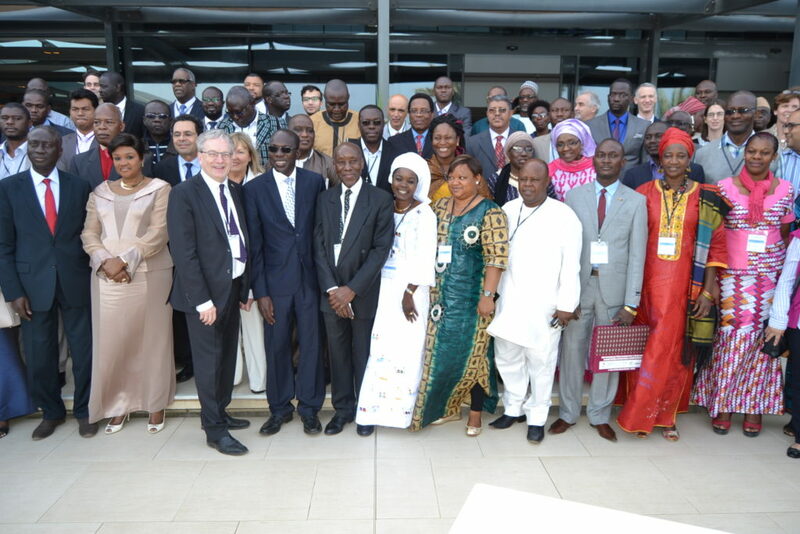 Discussions were held in French and participants will form the basis of a network of science advisors across Francophone Africa and the rest of the continent. The two day workshop was structured mainly around case studies designed to engage the participants in role playing associated with science advice. The workshop also had the goal of providing a platform to start networking expertise to help reinforce capacity for science advice within Francophone Africa. The mentoring and training during the workshop was the initial step in sensitising participants to the challenges inherent in science advice. Next steps include growing the sub regional network and linking it to INGSA Africa to further develop follow up activities such as regional capacities mapping and the development of specific curricula. Workshop organisers and participants recognised that the implementation of science advice (including traditional knowledge) requires a demand from within governments. Encouraging that demand requires a strong role from the research communities within Francophone Africa, both locally and globally, and networking with partners across all regions of Africa, including in Lusophone countries. The Dakar event was an important step in this process. A workshop report will be available soon on the INGSA website.